Diving into the turquoise water you are immediately drawn to the kaleidoscope of colors of the coral reef. The Corals look like brightly colored trees beneath the sea. Thus, from afar it looks like a wild garden of rock-shaped plants growing all around each other, gently blowing with the currents. The beautiful creatures of the sea swimming through the corals makes an amazing view through your snorkeling masks. Corals may look like plants but they’re actually living animals and are also relatives to jellyfish! 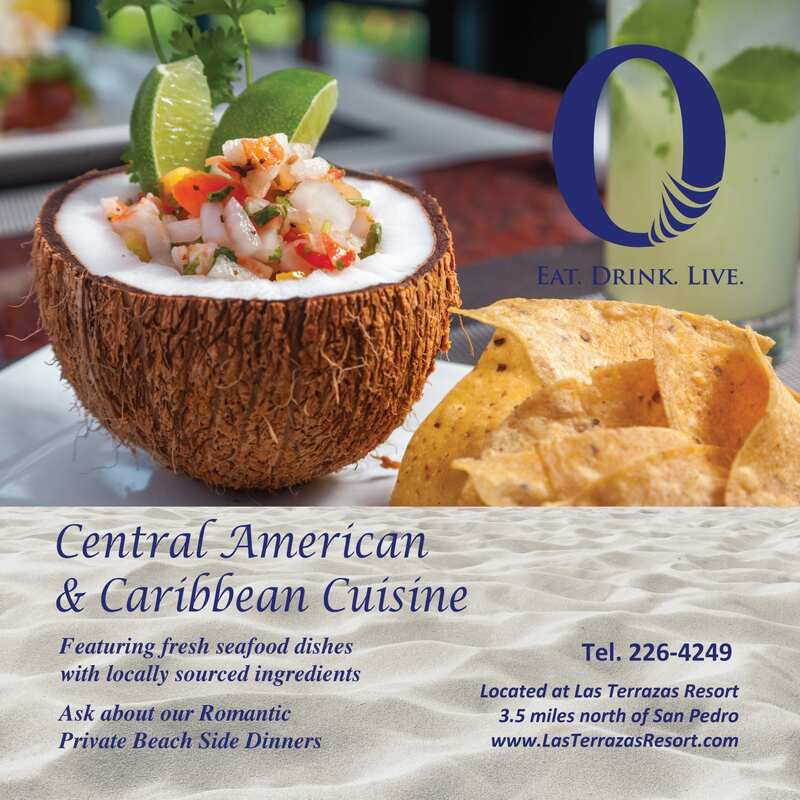 Belizeans like to call them ‘live rock’. Corals can feed with their tentacles and stinging cells but they get most of their energy from the symbiotic algae (zooxanthellae) that live inside them. The mutual symbiotic relationship between them is that the algae photosynthesize, like all plants, creating energy from sunlight that the corals then harness for growth. The coral provides a safe place for the algae while the algae gives the corals beautiful colors. Fun fact! It was Dr. Robert Trench, a Belizean scientist was one of the first to reveal the secrets of the symbiotic relationship. Why Explore the Reef without touching it? Corals have a unique, complicated and poorly understood microbial layer in their protective ‘mucus’ type coating which could function as a part of their immune system, which is why you should never touch corals! Globally, all reef corals are in dire risk. In fact, the second largest Barrier Reef went through severe damages over the past years. Due to the continuous damage and loss of the Coral Reef, coral restoration came about. 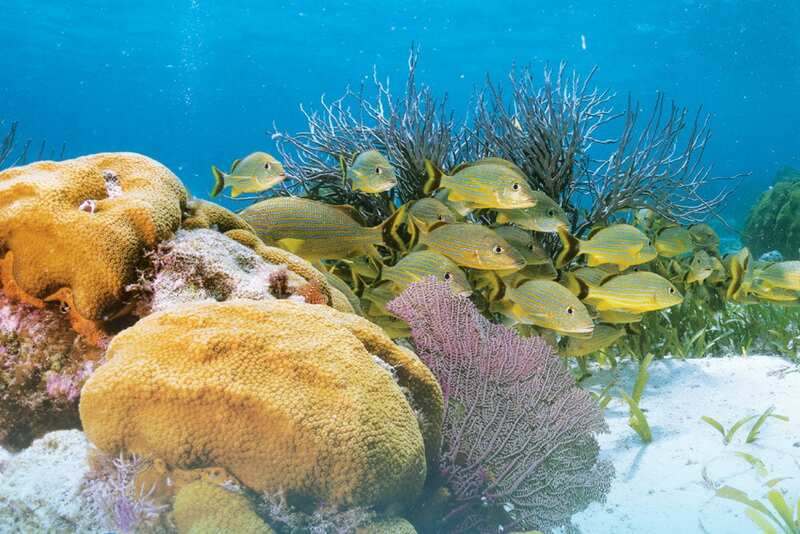 In Belize, Fragments of Hope initiated this concept in 2006, which was before the damage to the reef was severe. 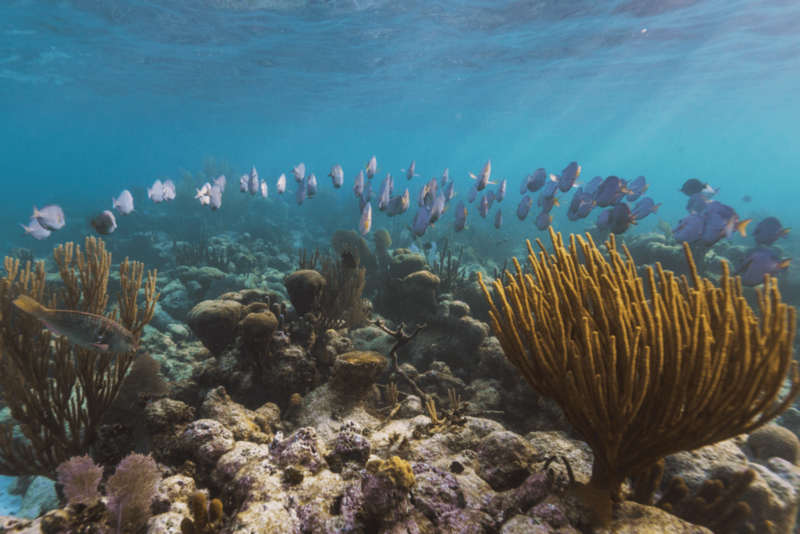 Their original site at Laughing Bird Caye National Park is widely considered the best example of true reef restoration in the world, with coral cover increased from just a few percent to over 35% in over a hectare of shallow reef. Eliminate your sunscreen use by covering up with rash guards, hats, long sleeved UV protection garments and leggings. Take a tour with a BTB licensed tour operator/tour guide when snorkeling. Stay horizontal above shallow reefs – divers practice good buoyancy skills and prevent dangling hoses, cameras etc. from dragging on the reef. Minimize your single-use plastics by investing in water bottles, reusable bags and bamboo or stainless steel straws. If your Belize trip includes a bareboat charter, make sure you use recommended overnight buoys and safe harbor. 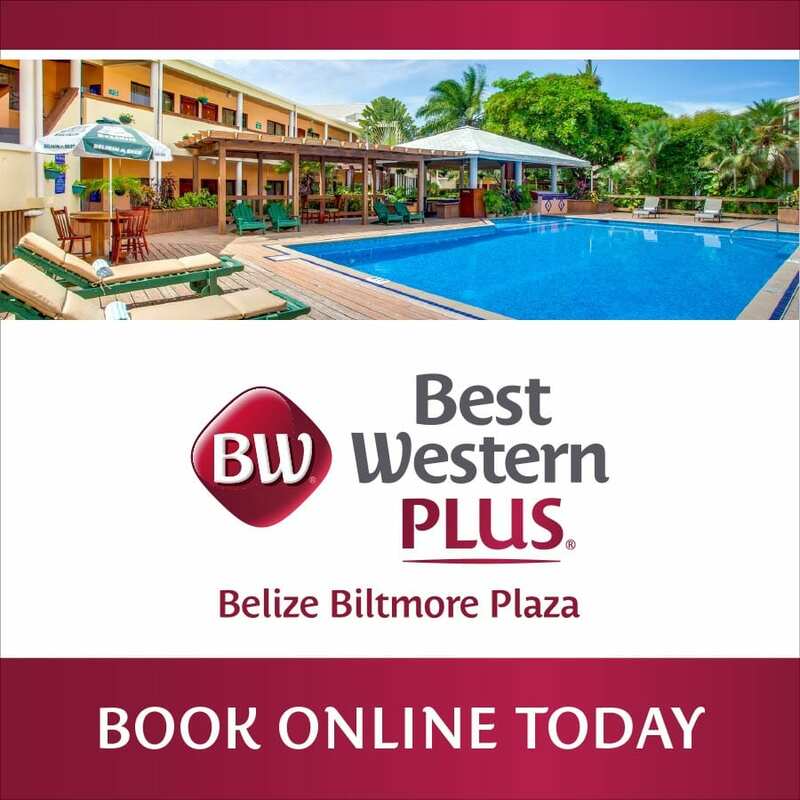 Follow Belize’s seafood laws and seasons.